BUYING YOUR USED MOTORCYCLE PRIVATELY OR FROM A DEALER? If your finances won’t stretch to a new bike, then a used motorcycle is the only option. Once you’ve chosen the model, you then need to decide whether to buy privately or from a dealer. A private seller is an individual who doesn’t sell motorbikes for a living. The reasons for sale will vary massively, from losing interest in bikes to a burgeoning family and no time to ride. However, there are considerable risks involved when purchasing from a private seller. Those legitimate reasons for selling aside, the bike could have finance owing on it; could have been involved in a crash or worse, could be stolen. And while we believe most private sellers are honest, there are a few rogues out there who are keen to make a quick, and dishonest, profit. Carrying out an HPI check will ensure you’re not buying a problem bike or one with any rights of ownership issues. Checking service history and any receipts for work done should give you a good idea of what you’re buying. There are many great deals to be had from private sellers, just so long as you’re careful and go with your gut feeling. If something feels wrong, it probably is, so just walk away — unless you’re looking for something incredibly rare, chances are you’ll soon find another suitable bike. 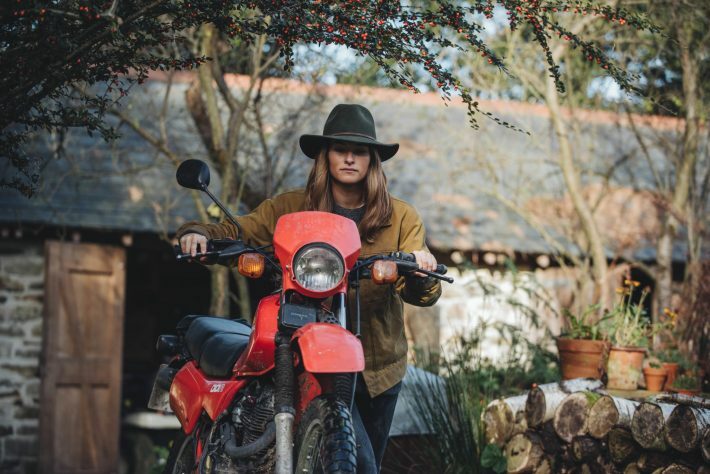 One of the big positives of buying from a private seller is that they have no overheads to pay, such as showrooms and commissions to sales staff, so the price is likely to be considerably lower than the same bike from a dealer. However, privately sold bikes are usually ‘sold as seen’, with no warranty or guarantee. If you’re not confident in your own mechanical knowledge then take someone with you who is. If anything looks suspect in the paperwork, then walk away. A dealer is a business that sells second hand bikes for a profit. There are more regulations and laws that dealers are required to meet, as opposed to the less regulated market that private sellers enjoy. This means that dealers are a lower risk, although you will normally pay a higher price than you would to a private seller. A major benefit of dealers is that they may offer protection, meaning if something was to go wrong over a certain period of time, they will resolve the issue if this is covered in the guarantee. 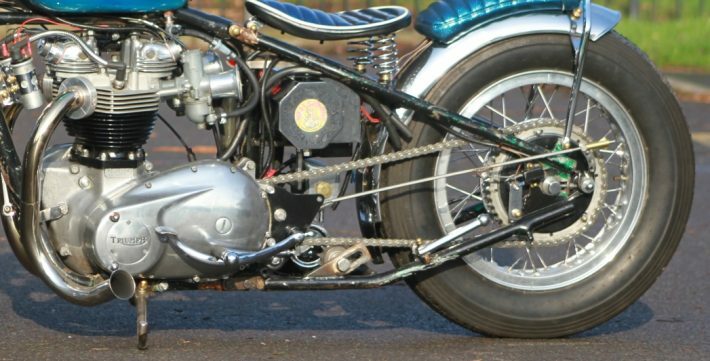 With this in mind, you could save money in the long run if the bike develops a fault or something sinister shows up in its history — a dealer has a duty of care (and a reputation) that doesn’t apply to a private seller. It all depends on how much you’re willing to spend and how much risk you’re willing to take. Another bonus of dealers is there is the potential to part exchange your existing bike against the purchase price of your new machine. Bear in mind that you will only get the lowest price (commonly known as ‘bottom book’) so you may be better off selling privately and putting down a cash deposit. The downside is you may be without a bike for a while — imagine! 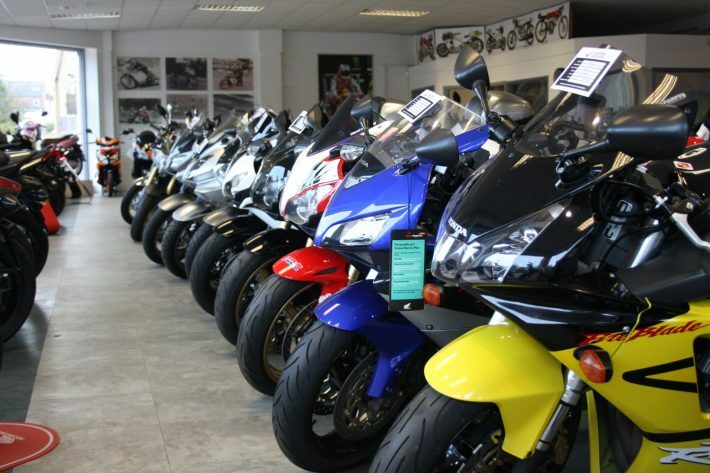 Dealers may also be able to offer competitive finance deals on used bikes too, so for a few pounds each month, you could top-up your budget and ride away on a newer machine than you first thought possible. 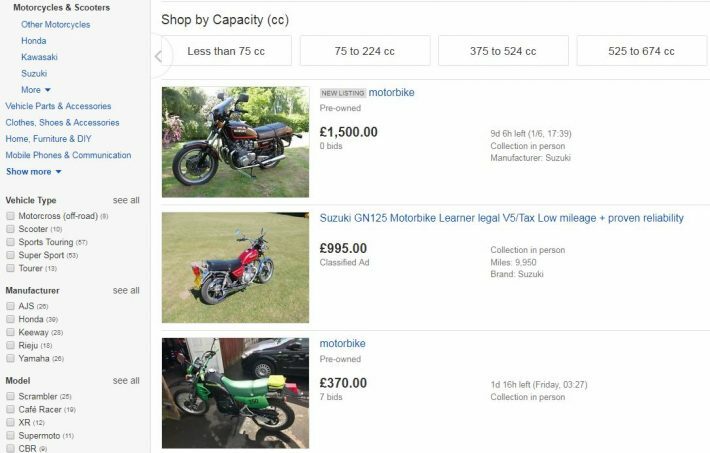 There are various websites selling used motorbikes. This could be the perfect place to find the bike for you, although there are a number of things you need to be wary of and check before considering a purchase. Once you have filtered through all the searches and found the bike you are looking for, you should then check the seller’s history. You can do this by looking at their feedback scores, reviews and quality of products sold previously. Purchasing a bike is a big commitment, so you do not want to take any risks. If the feedback score of the seller is based on only a few reviews or looks less than perfect, steer clear. Make sure the photos of the bike on listing are of the bike itself and not manufacturers’ press pack images. Ask yourself why they are hiding the bike they are selling? Also be wary of bikes listed at a low ‘buy it now’ price. If something looks too good to be true, it normally is. If any alarm bells start ringing, move on to the next ad. Purchasing a bike can be a timely process but there are shortcuts you can make to save a bit of time. Altering your search to set a location radius will ensure you are not going to be travelling too far to view a bike that could turn out to be a disappointment. Getting the bike home will also be a lot easier if you’re buying local. An obvious but vital requirement is carefully reading the seller’s description of the bike. If the bike is described as having been ‘dropped’ or has ‘light damage’ then be wary. Other things to look for in the description that should put you off are terms such as: ‘partial service history’, ‘unused for years’ and ‘needs attention’. Unless the price is very low and you’re mechanically capable, these bikes are best avoided. When purchasing a used bike, you should consider service and maintenance costs. You may find yourself having to fix the bike regularly and paying to get it serviced, which could leave you wishing you’d spent a little bit more for a bike in better condition. This should beg the question of whether or not you can fix a bike yourself were it to go wrong. If the answer is no, then think carefully about potential problems and lumbering yourself with a bike that will either cost a fortune to keep in good condition, or simply plummet in value. Once you have given details of the bike they will email you a full report. Before agreeing to set off and view the bike, it’s wise to phone the seller. This is an opportunity to ask any questions you may have, such as their reason for selling. We’ve found from experience that you can tell far more from a phone call than via exchanging emails. If the seller is genuine, he or she should be happy to answer any questions without hesitation. If you are thinking about test riding the motorbike, arrange your own insurance before you set off. This will ensure you will not end up having to settle for being a pillion on the bike or missing out on a ride altogether. 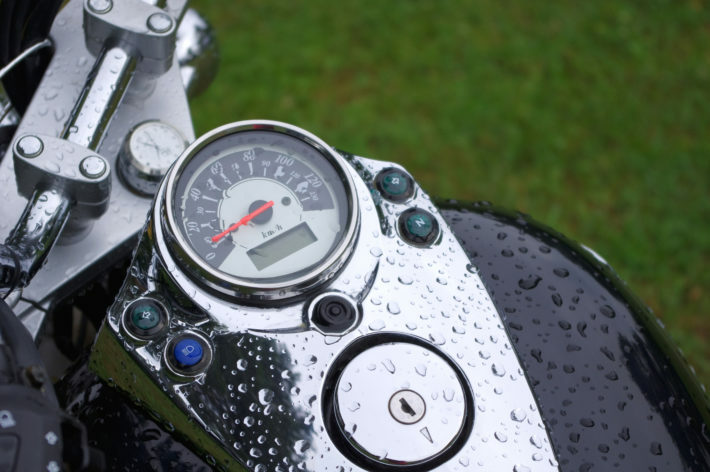 Test riding is a great way to figure out if there are any faults or damages with the bike and if it is the motorcycle for you. Not all private sellers will be keen on this until they have the money in their hands though, so ask the question when you make that phone call. It is always a good idea to view the bike in daylight and not when it is or has been raining. This is because natural light is best for highlighting any dents and scrapes, while raindrops can hide them. Rain can even quieten down squeaky bearings and rattles too! Do as much research as possible. If you become an expert on the bike, anything that’s not how it should be will quickly become apparent. Another thing we would recommend would be to take somebody along that has good knowledge and experience with bikes. An extra pair of eyes to look over everything will stop you getting overexcited and overlooking anything that’s not quite right about the bike or seller. When you arrive, make sure the following paperwork is present and valid. Question anything that does not match up. If you’re not convinced with the answers, simply walk away and find another bike. Make note of any wear and tear or damage to help you compare the bikes you are considering purchasing using the checklist below. Brake disc and pad condition. Look for scrapes, scratches and dents. Be wary of stickers used to cover damage. Bike garaged or left outside? Operation of lights, indicators and horn. Damage to handlebars and footrests could indicate a drop. This could increase the insurance premium. Some of these may be non-negotiable to you. But if some of the issues are easy to fix, or for example, you know that a set of tyres will cost you £200, then renegotiate the price with the seller. You may find that they are willing to move on the price and find a happy compromise for you both. Note: The Road Traffic Act makes it clear that it is illegal to sell a bike that is not roadworthy unless the seller makes it clear it is only fit for scrap. Check this isn’t put on the receipt of sale without your knowledge as this would take away your legal rights. Now it’s time to get insured and go out and enjoy your new (used) bike! Need help finding the bike for you? Check out our handy guide to choosing a motorcycle here!